Center for Great Lakes Literacy: Promoting Great Lakes Literacy Principles; and developing a community of Great Lakes literate educators, students, scientists, environmental professionals, and citizen volunteers, dedicated to improved Great Lakes stewardship. 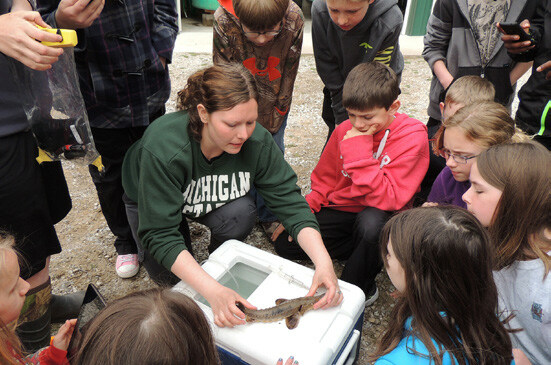 Great Lakes Stewardship Initiative: Supporting Place-Based Stewardship Education practices; supporting communities and schools, educators and youth in efforts to develop knowledgeable and active stewards of the Great Lakes and their ecosystems through place-based studies and explorations in local communities. 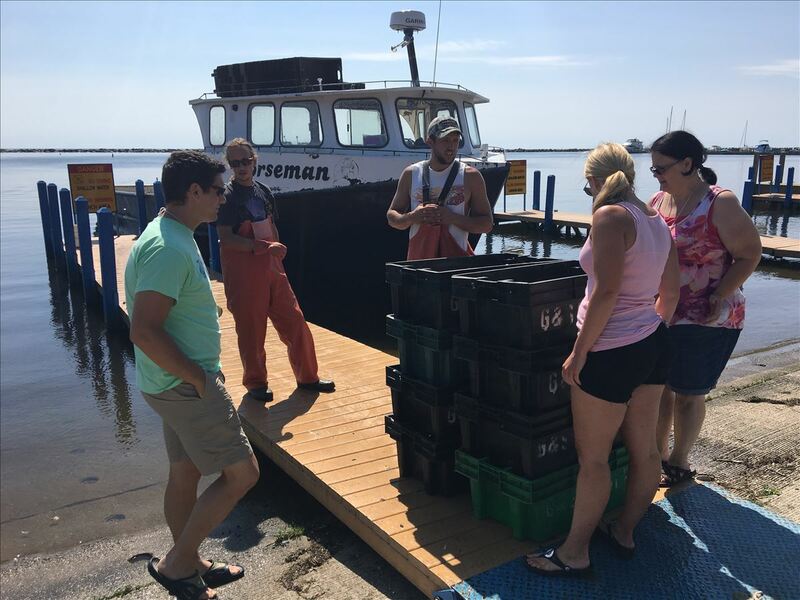 NOAA B-WET Great Lakes: Offers competitive grants to support existing environmental education programs, foster the growth of new programs, and encourage development of partnerships among environmental education programs within watershed systems. Project F.I.S.H. : This 'Friends involved in Sportfishing Heritage' program fostering school-community partnerships and programs that engage youth in long term and continuous, community supported, sportfishing and aquatic resource education experiences. 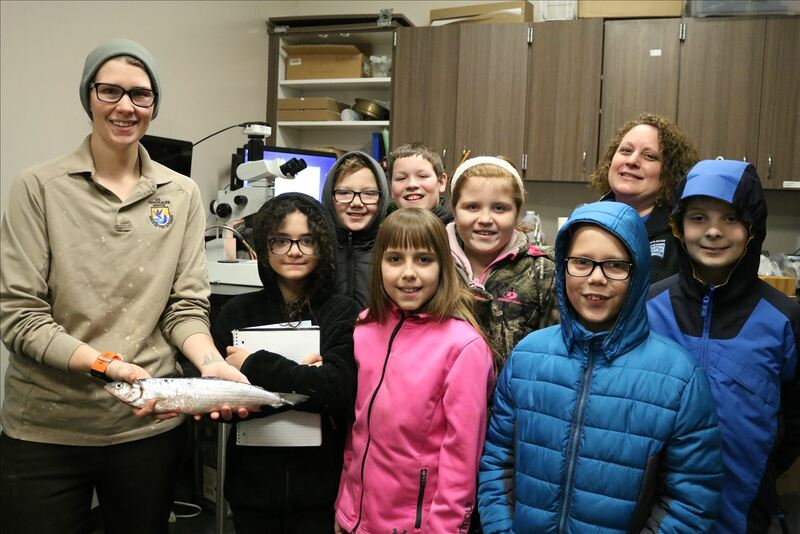 Salmon in the Classroom (Michigan): This educational program offs opportunity for schools and classrooms to raise salmon - from eggs to smolt - then release them in the spring. This project is supported classroom activities on relevant topics correlated with your curriculum, SIC can be a part of any 3rd-12th grade classroom. 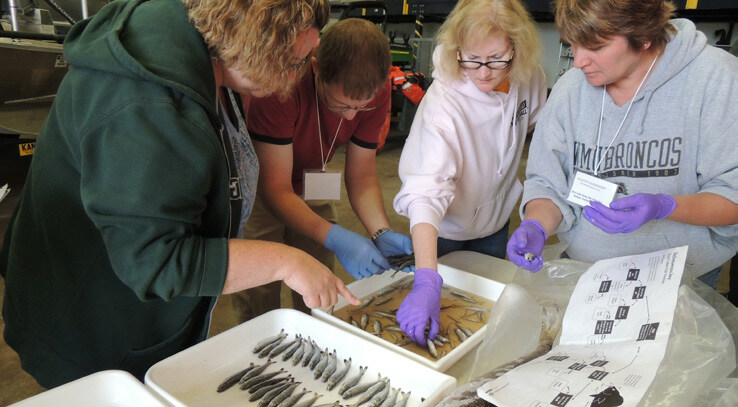 From ecosystem to history studies, field trips to research in archives, issues studies to stewardship opportunities the Great Lakes Fisheries Heritage trail network and partnership offers access to a wide variety of educational projects, resources and websites that are available to educators and students. 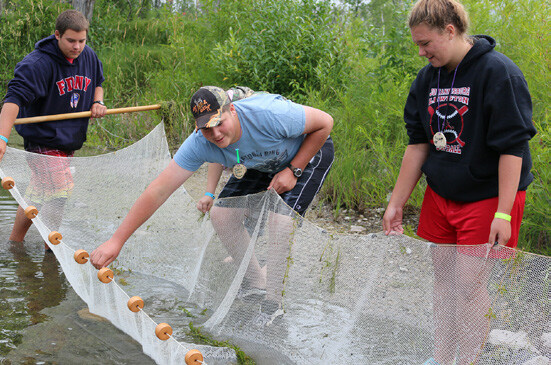 Explore here to learn how you can make or grow your educational connection with your local Great Lakes fisheries today. View a map and list of places offering field trip or group visit experiences. Explore Great Lakes fish species, ecology and ecosystems in more detail. 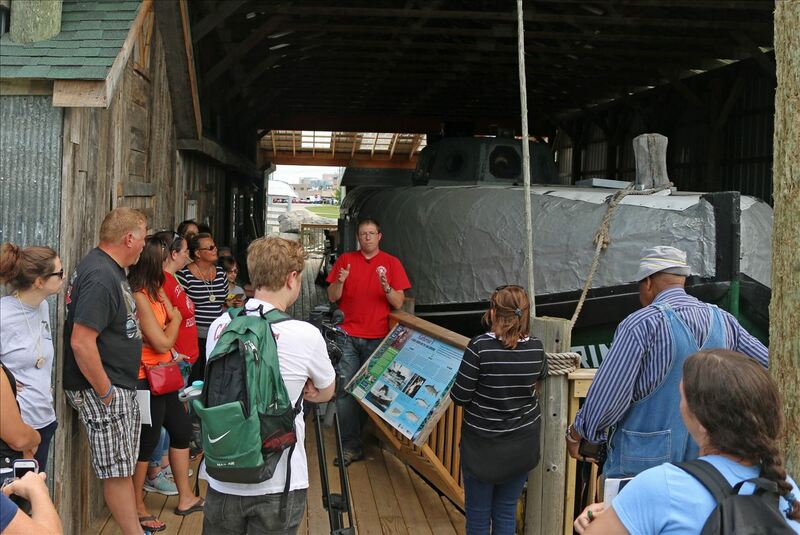 Students visiting the fish tug exbibit at the Jesse Besser Museum. A book connecting art and Great Lakes ecology and issues. Great Lakes Literacy Principles reflect an essential concepts in understanding of the Great Lakes’ influences on you and your influence on the Great Lakes. Grant program that supports existing environmental education programs, fosters the growth of new programs, and encourages development of partnerships among environmental education programs within watershed Systems. Supporting Place-Based Stewardship Education practices; supporting communities and schools, educators and youth in efforts to develop knowledgeable and active stewards of the Great Lakes and their ecosystems through place-based education. Website promoting conversations about conservation and climate. Project F.I.S.H. program fostering school-community partnerships and programs that engage youth in long term and continuous, community supported, sportfishing and aquatic resource education experiences. Project F.I.S.H is an educational program for youth and families sponsored locally by schools, fishing conservation organizations, others interested in fishing and our fisheries. Website features a suite of lessons, activities and data sets focused on the Great Lakes.